Se kurv “55″ Samsung DB55E 16/7 digital signage skærm” er blevet tilføjet til din kurv. Giada F302-B3000 er en semi-industriel afspiller til digital skiltning. Den er specielt velegnet til krævende afspilninger og nonstop drift, og har en uovertruffen grafisk performance (4k). Enheden har et slankt pladsbesparende design og er uden blæsere og dermed meget lydsvag. Perfekt til brug på offentlige steder, i industrien og hvor man ellers kan have et behov for at skilte digitalt. The fanless and durable Giada F302 adopt the latest 6th Generation Intel® Skylake-U CPU with Intel® HD Graphics, providing high computing performance and ultra-high resolution display output. Both systems are suitable for wide range of operating conditions, e.g. noiseless or harsh environments. 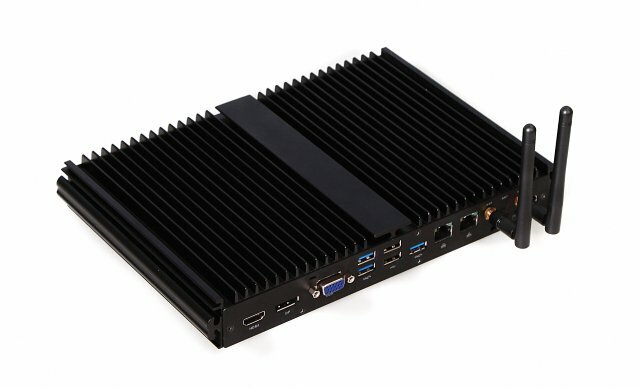 The new, fanless Giada F302 Mini PC is now available. The device is equipped with Intel® Core ™ i5-6200U / i3-6100U (Skylake) processor and in addition to its low height, features high performance and robustness. The F302 is especially suited for a reliable 24-hour operation under extreme conditions with limited space. an energy-saving and low-noise operation is ensured by the fanless design. Three different video ports provide outstanding graphics performance (4k) safe and predestine the F302 for use in many digital signage applications. 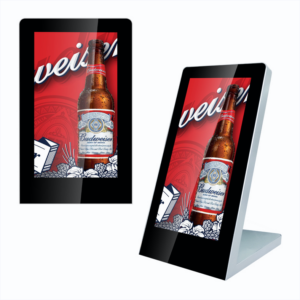 The Giada F302 is particularly suited to versatile use in demanding digital signage applications. With high graphics performance and a brilliant resolution (4k), the Mini PC is an information control device for web-based and multimedia applications, also the perfect solution for industrial, commercial, public buildings and transportation companies. 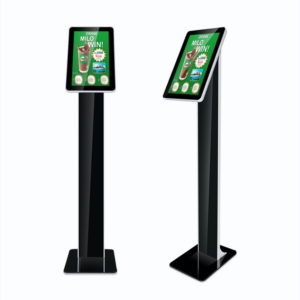 The device has all the features for display of advertisements, digital menus, information displays and information boards at kiosks or vending machines. The Giada F302 is characterized by high performance with the latest Intel® Core ™ processor technology of the sixth generation (Skylake). The Intel 14nm manufacturing technology enables a high-performance operation and consistently low operating temperature and low power consumption at the same time. Due to the small dimensions of only 260 x 175 x 35 millimeters, the Giada F302 is particularly flexible and suitable for use in environments with limited space. A robust metal housing protects the mini PC also from temperature differences, dust, moisture or electromagnetic influences. 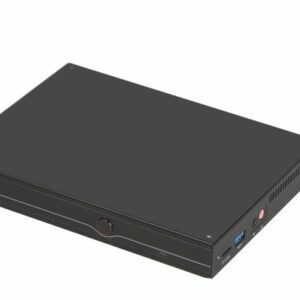 The Mini PC supports different operating systems: Windows 7, Windows 8, Windows 10 and Linux, and thus can be used for numerous purposes and solutions. For use in demanding digital signage solutions, Giada F302 has three different video output options (DisplayPort, HDMI, VGA) for a brilliant video playback with max. 4K resolution and 60 Hz combined with low system utilization. Six COM ports, three USB 3.0 and two USB 2.0 ports and one Type C USB 3.0 port of Giada F302 guarantee excellent connectivity. For parallel operations at high speed, two Mini PCI-E (Peripheral Component Interconnect Express) interfaces with SATA III are available and also the Wi-Fi / USB support. The installation and expansion of Giada F302 are instant, quick and easy. The modular design enables components such as hard drives, SSDs, additional memory or Wi-Fi / 3G modules to be easily and quickly upgraded. The Giada F302 is equipped with a 2.5-inch SATA III, an mSATA and an M.2 slot, thus ensuring an extremely high storage capacity and expandability. The Giada F302 is, as all Giada products, tested under strict tests. The company JEHE Technology Development pays attention in the manufacturing of all Giada products with environmentally friendly raw materials and low energy consumption in order to conserve resources.